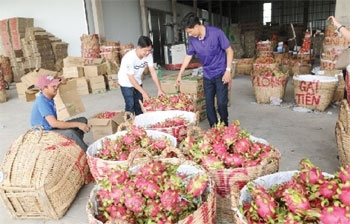 (VEN) - Minister of Agriculture and Rural Development Nguyen Xuan Cuong, said at a meeting on March 27 that the ministry will control production and import of seeds and breeding animals and increase agricultural sales. He also directed units to promote production in all fields in order to boost the sector’s growth. According to the Ministry of Agriculture and Rural Development’s report, as of March 15, the country planted more than three million hectares of the winter-spring rice crop, of which over one million hectares were harvested. 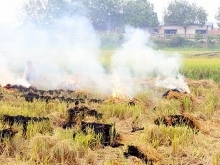 Winter-spring rice yield in the harvested area in the Mekong Delta reached an estimated 63.4 quintals per hectare, a drop of 0.8 quintal per hectare compared to a year ago. The General Statistics Office’s assessment shows that drought and salinity intrusion have had negative effects on the rice crops in the Mekong Delta and in the north, leading to a fall in rice yield. Therefore, the cultivation sector recorded a negative growth of 0.39 percent in the first quarter of the year. Nguyen Thi Hong, the director of the Planning Department under the Ministry of Agriculture and Rural Development, forecasts better growth in the second quarter of this year as the remaining rice-growing area is expected to be more productive. 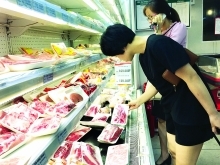 The livestock sector’s growth in the second quarter of the year may be lower than the first quarter because of a decline in prices of pigs and chickens. “Price fluctuations do not tend to benefit livestock production. However the number of breeds is still increasing,” Hoang Thanh Van, the director of the Department of Livestock Production, said. He also added that import volume of all livestock products in the first two months of the year was lower than the same period last year, meaning that domestic products have met consumer demand. Shrimp farming has shown positive signs. Brackish shrimp farming in the first three months of the year covered an estimated 537,000ha, an increase of two percent compared to a year ago, while shrimp output reached an estimated 68,300 tonnes, a year-on-year increase of 14.14 percent. 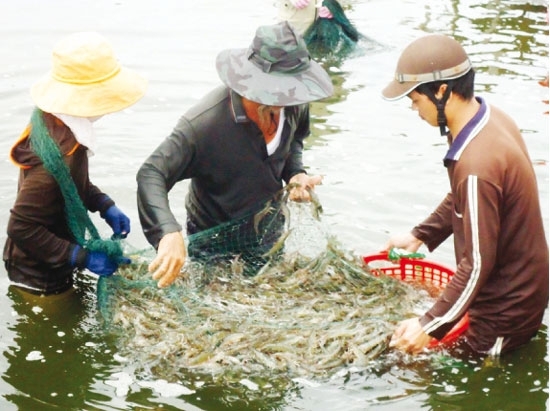 Minister of Agriculture and Rural Development Nguyen Xuan Cuong submitted a national action plan on developing the shrimp industry by 2025 to the prime minister in late March, aiming at turning it into a key agricultural economic sector. According to the General Statistics Office, the agricultural sector saw gross domestic product growth of 2.03 percent in the first quarter of the year. 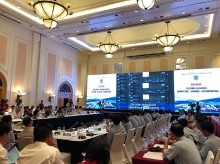 Deputy Minister of Agriculture and Rural Development Ha Cong Tuan said that its growth rate remained low compared to the target of 2.8 percent assigned by the government. Therefore, units under the ministry must have specific plans to promote the sector’s growth. Nguyen Xuan Cuong assigned the Water Resource Directorate to keep a close watch on drought and lack of water in the Central Highlands and south-central coast, and on salinity intrusion in the Mekong Delta provinces, and propose measures to overcome these difficulties. In addition, he ordered tightened inspections and management of reservoirs and dykes to prepare for the coming rainy season. He also directed units under the ministry to improve quality management of inputs for agricultural production. Accordingly, the Directorate of Fisheries should strengthen strict control of the quality of shrimp and Tra fish, and enhance inspection of hatcheries. The inspectorate should revise the inspection plan, especially strengthening inspection of fertilizer quality and activities of agricultural licensing agencies. The minister directed the Department of Livestock Production to coordinate with relevant units to organize meetings with agro-processing enterprises and exporters in order to remove obstacles to their progress. In addition, the Department of Animal Health needs to speed up implementation of the plan on monitoring the chicken processing chain serving exports. US$1.5 billion, an increase of 12.4 percent and 3.6 percent compared to a year ago.